You may have read my article titled My ‘New’ Pentax K-1000 and my first attempt at shooting with real film. If not, click on the title and you can read all about it. If you’ve read other posts, you know that I am a lover of all things Canon! I shoot mostly with my Canon 5D-Mark III, so when I purchased my Pentax K1000, I did experience some feelings of guilt – I felt like I was a traitor to my first love, Canon. 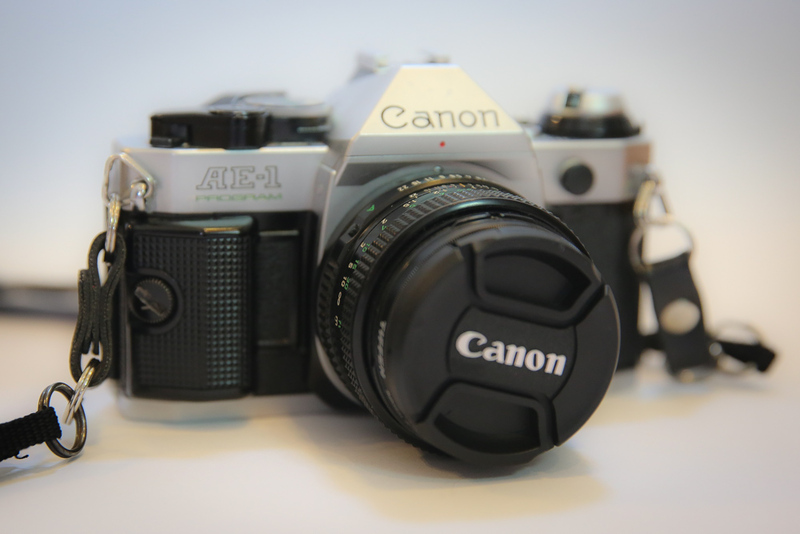 So I went on another eBay journey to buy myself a Canon AE-1 Program 35mm Film Camera! Isn’t she lovely? I just love the way these old cameras feel, and the “click” that they make when you take the picture is just the best! 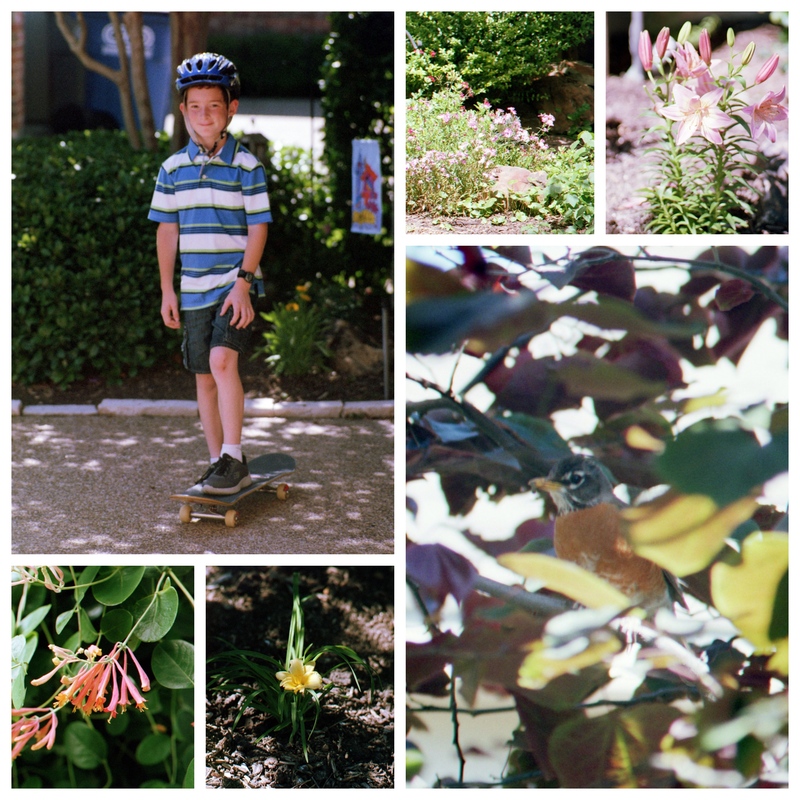 So I loaded up my Canon AE-1 program, as well as my Pentax K-1000 with some good old-fashioned 35 mm film – yes film, and I headed outside to take some pictures. Boy…what an experience this was. For a camera that is so basic with no digital parts to think about, there is a lot going on when you take (or in my case try to take) a picture. I started out in my backyard snapping pictures of flowers and trees, and anything that was not moving in my backyard. I would aim the camera at the object, carefully bring the picture in to focus – manually (which is not an easy task), and I’d click the picture. Well…most of the time anyway… You must remember – on these old 35mm film cameras, you have to manually wind the film forward before you can take the next picture. Remember that? Nothing has ever been as frustrating to me as setting up the entire shot, bringing it in to focus, and trying to snap the picture and nothing happens! Aaaahhhhh…..I had forgotten to wind the film after my last shot! Well…by that time, the wind had blown the leaf or flower a bit, and I had to re-focus, and then, I wasn’t feeling the shot anymore anyway! I’m not cut out for these good old sturdy cameras – I never realized how much my Canon 5D Mark III actually does for me. However, I’ve read that if you really want to be a great photographer, you should try and struggle through with one of these old 35mm film cameras that are totally old school! So…that’s what I did. And I realized that there is so much that I don’t know about taking good pictures because my camera is so advanced. My camera knows more about taking pictures than I do! It was great fun, and a great many lessons were learned. One of which was that developing film is expensive – especially when most of the pictures turn out blurry and grainy! I often wonder now how anyone ever got a good picture before digital cameras came about? I really struggled with this film camera. And on top of all the complications I encountered, I could not look at my picture after I shot it to check it out – there’s no preview screen on the back of the camera! What? And you should’ve heard my kids – they were my models for some of the shots while I was trying this film thing out, and each time they would say “Can I see the picture?” They totally lost interest once they realized it would be at least 2 weeks before they could see the photos! I love the way she looks and feels, but I can’t take good pictures with her! So…she’ll make a perfect paper weight! After about 3o minutes of figuring these cameras out (or so I thought), and snapping a few shots and making several mistakes, I began to find my rhythm (with flowers and trees). So…I ventured out into the front yard with my kids to get some shots of them playing basketball and riding scooters. If you think I had a hard time shooting pictures of flowers and trees, you should’ve seen me out front with my kids. It was a disaster! What a total mess this was turning out to be! How in the world is a person supposed to manually focus a shot of a kid running towards a basketball hoop at break-neck speed? I’m sure that there were photographers out there who learned the art of sports photography with their Canon AE-1 or their Pentax K-1000, but I wasn’t going to be lumped into that group! Wow! I missed my Canon 5D Mark III so badly at this point. 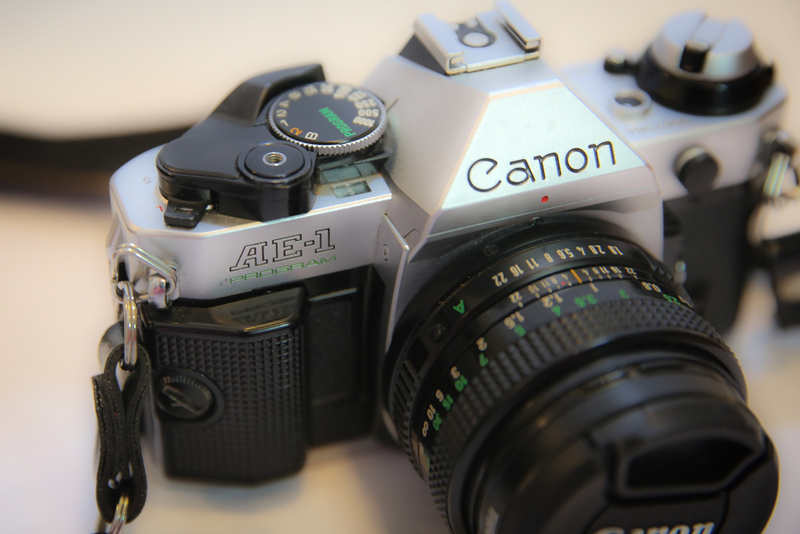 Or even my cell phone… Anything but this totally cool vintage camera that I wanted so badly to be able to use! Okay…so now to the really embarrassing part. I know I can tell you about how horrible the pictures that I took turned out, but I’m sure some of you are thinking “they can’t be that bad.” Well…check out the pictures below – I imported these 35mm film photos from the CD that was included when I picked up my prints, and did NOT edit them at all. Straight from the CD to my computer and dropped into Fotor to make the lovely collage of terrible pictures. This is exactly what was returned to me from Walgreen’s! Pretty bad, right? And not only are the pictures bad, but it took me 2 weeks to get them printed. Just look at these awful pictures! They are all blurry and grainy. I am so embarrassed that I’m showing these to you! And look closely at the big picture on the right – there is actually a bird in there – with my Canon 5D, I would’ve been able to get such a beautiful shot of him. These pictures really make me appreciate my Canon 5D! When I walked in to Walgreen’s with a canister of 35mm film to be developed, I had a whole different adventure. The woman behind the counter looked at me like I was crazy. What was this little canister I was holding, and what was she going to do with it? I asked her where the film envelopes were, and she pointed them out to me as she asked “You’re dropping film off?” When I told her I was, she quickly told me “Well…you know it will take at least 2 weeks to get them printed, right?” She was clearly annoyed and confused by this… And I felt totally out of my element – I couldn’t remember if you left the film in the canister or took it out. Wasn’t even sure what kind of prints to get. It was a bit nerve-racking! But…in the end, I figured it out and 2 weeks later, I had my pictures! PreviousWhat is Bocce Ball? Do You Prefer Bocce Ball or Corn Hole? Enjoy your lovely AE-1 Program! Film is the best!